How much exercise do you need? Government guidelines recommend Americans get at least 150 minutes a week of moderate aerobic activity or 75 minutes a week of vigorous aerobic activity in addition to 2 days of resistance training each week for weight management. As a general goal, aim for 30 minutes of activity each day. But relax, it doesn’t have to be done all at once. Two 15 minute increments of physical activity equal the same amount as doing the activity for one 30 minute stretch. The same is true for three 10 minute increments of brief activity. Just be sure to get your heart rate up and maintained at 60% to 75% your maximum rate. If you’re ready to start moving your body for the enjoyment and health benefits or if you’re already a regular exerciser and want to push your body more, here are some great, fun exercises for women with PCOS to do. Walking is one of the best activities for PCOS because it can be done anywhere and only requires walking shoes. If you don’t enjoy the solitude of walking alone, turn on music or ask a friend to join you. 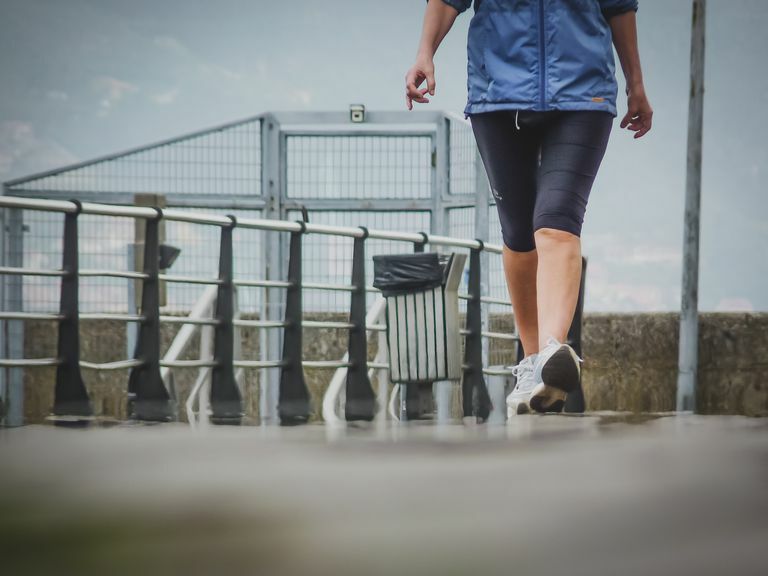 Power up your walking routine by adding intervals: alternate walking 5 minutes at a moderate pace and then 5 minutes of fast-paced walking or jogging. Vary your route from time to time to one that includes both hills and flat surfaces. Women with PCOS can build muscle quickly, good news if you're trying to burn extra calories. Use this to your advantage by lifting weights twice a week. Not sure where to start? Set up a session with one of the trainers at your gym for an introductory instruction session (some gyms will happily do this free of charge as part of your membership). In addition, consider meeting with a trainer every month or so to change up your routine. The popular Les Mills Bodypump, is a class offered at most gyms across the U.S. and includes an hour of group weight training to music that works the whole body. Pool workouts such as swimming and aqua aerobics or Zumba are great activities for women with PCOS to do. These exercises use resistance to work the entire body and are easy on the joints. If you're swimming laps, push yourself by setting distance or speed goals. Want more of a challenge? Try stand-up paddleboarding also known as SUP. This outdoor water sport tightens and tones the whole body while building balance. Kayaking works the upper body and core muscles and is another great way to stay fit in the water. Bored with your everyday exercise? Challenge your body by learning or practicing a sport. For example, join a weekly tennis clinic (indoors or outside) at your level. Always wanted to learn how to golf? Sign up for lessons. Not only will you get exercise but meet some new friends in the process.